Sometimes incorrectly called blood poisoning, sepsis is the body’s often deadly response to infection. Sepsis and septic shock can result from an infection anywhere in the body, such as pneumonia, influenza, or urinary tract infections. Worldwide, one-third of people who develop sepsis die. Many who do survive are left with life-changing effects, such as post-traumatic stress disorder (PTSD), chronic pain and fatigue organ dysfunction (organs don’t work properly) and/or amputations. Sepsis can be caused by any type of infection: bacterial, viral, fungal, or even parasitic. Many infections can be prevented simply by good and consistent hygiene. Others can be prevented through the use of vaccinations. Viral infections, such as influenza (the flu), chicken pox, and HIV, are caused by viruses. Viruses are microscopic organisms that must live inside a living host, such as humans. Although each virus is different, viruses generally don’t survive for long outside the host. Usually when you have a viral illness, your body produces antibodies that keep you from getting the illness again – they make you immune. 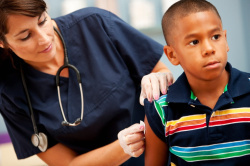 Vaccines have been developed for many viruses, such as chicken pox (varicella), tetanus, and polio. These vaccines, sometimes called immunizations, trick your body into thinking that it has been infected with the virus – which then makes you immune to actually getting the illness. Visit Sepsis and Prevention: Vaccinations to learn more about vaccines, how they work, and why they are important. Every cut, scrape, or break in the skin can allow bacteria to enter your body that could cause an infection. For this reason, it’s essential that all wounds be cleaned as quickly as possible and be kept clean. They should also be monitored for signs of an infection. Always wash your hands before touching an open wound. If possible, wear clean disposable gloves. If the wound is deep, gaping, or has jagged edges and can’t be closed easily, it may need stitches. See your healthcare provider as soon as possible. If the wound does not appear to need stitches, rinse it and the surrounding area with clean (not soapy) water. Gently running water over the wound can help remove any dirt or debris that may be inside. If you believe that there is still debris in the wound, this should be checked by a healthcare provider. If desired, apply an antibiotic cream or ointment. Cover the wound to protect it from dirt if necessary. Watch for signs of infection: redness around the wound, skin around the wound warm to touch, increased pain, and/or discharge from the wound. Consult your physician or nurse practitioner if you suspect you may have an infection. Blisters: If you have a blister, do not pop it or break it. The blister is a protective barrier and breaking it introduces an opening in your skin. If the blister does break, keep the area clean and monitor for signs of infection. Bacteria can cause infections in many parts of the body, such as a cut or bug bite on your arm, your kidneys or bladder, even your lungs (pneumonia). If you have been diagnosed with a bacterial infection, you will likely be prescribed antibiotics for treatment. Antibiotics are medications that kill bacteria or stop them from reproducing. Some antibiotics work against several types of bacteria, while others are for specific bacteria only. Partly because of overuse and misuse of these medications, some bacteria are becoming resistant to certain antibiotics. This is making it harder to treat infections. For this reason, it is essential that people take antibiotics only when necessary and exactly as prescribed. Follow the instructions regarding how the medication should be taken – with or without food, before or after meals. Finish the full course (7 days, 10 days, etc. ), even if you feel better sooner. The symptoms will disappear before the bacteria have been completely eliminated. Store the antibiotics as directed to preserve its strength. Do not ask your physician or nurse practitioner for a prescription for an infection not caused by bacteria. Antibiotics do not work on viruses, such as colds or the flu, or other illnesses not caused by bacteria. Do not take someone else’s antibiotics, even if you do have a bacterial infection. It may not be the correct type or dosage, or it may have expired. It can be dangerous to take expired antibiotics. Most viral infections run their course without treatment, but some viral infections may be treated with anti-viral medications. If you are ill and don’t seem to be getting better, are getting worse or are developing new symptoms, are having difficulty breathing, or are concerned, please consult your healthcare professional. Sometimes, medications may be prescribed for the symptoms caused by the virus. Infections caused by fungi or parasites must be treated with specific medications that will eliminate the cause. Washing our hands is a simple task that we all do every day, several times a day. However for hand washing to be effective, it needs to be done properly and possibly more frequently than many people do already. Generally, to wash your hands well, you simply need to use running water (to help wash the debris from your hands), lather your hands well (making sure to rub between each finger and under your nails), and dry your hands thoroughly with a clean towel. If you are using a hand sanitizer (waterless cleanser), use the same motions of rubbing your hands together, in between your fingers and remembering the tops of your hands and your thumbs. Your hands should be dry before touching objects. If you’re wondering whether to use a waterless cleanser or soap and water, the general belief is that soap and water are best for hands are visibly dirty or after activities, such as toileting. Hand sanitizers are good for when hands are not visibly dirty, but you know they need to be cleaned. Teaching children to wash their hands. Children have many things they want to do and washing their hands may not be something they see as important. However, they do need to learn how to wash their hands properly and when they should be washed. For people caring for or living with someone who is immunocompromised. Someone who is immunocompromised has a low immune system, which makes it easier for them to develop infections and harder to fight them. When caring for or coming in contact with someone whose immune system is low, it’s important to reduce the infection risk as much as possible so the routine for washing your hands is stricter. While it may take a little longer to go through the steps, they are important in limiting the chances of transferring an infection to someone who may have a hard time fighting it. Remove rings and watches so you can clean the areas where they rest against your skin. Using soap, preferably liquid, rub your hands together to make a lather. Make sure that your fingertips rub into the areas between the fingers (webs) of the opposite hand. With each hand, wash the top of your other hand, not just the inside (palms). Don’t forget the thumbs, which are often neglected. Clean under your nails and let the water run under them as well. Go up to your wrists when washing. Hand washing should take at least 10 to 15 seconds. This is about how long it takes to sing “Happy Birthday,” twice quickly or once if slowly. Rinse your hands well and then dry with a clean towel. Pat them gently rather than rubbing vigorously, to protect your skin from becoming irritated. Use this towel to turn off the tap, to prevent recontaminating your hands. Not all infections can be prevented and as a result, not all cases of sepsis can be prevented. However, by following these basic rules, you can decrease your risk becoming ill. Prevent Dental Infections, Prevent Sepsis: World Oral Health Day. Can Patient Safety Reduce Sepsis Risk? Patient Safety Awareness Week.